The Coniston Cold Weir is located on the River Aire in North Yorkshire, England. The weir was 19m wide and 1.2m headloss, with a 4m horizontal block-stone apron. It was in place for approximately 180 years. 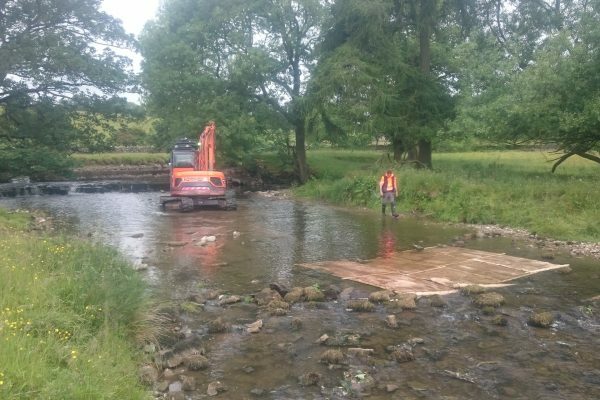 This past summer, Professor Jon Grey from The Wild Trout Trust led a project to remove this weir to restore fish populations to a natural and healthy state (along with notching others small weirs and partly demolishing a couple along the river). Grey received support from the Aire River Trust, the Environmental Agency, the land owner and tenant farmer. 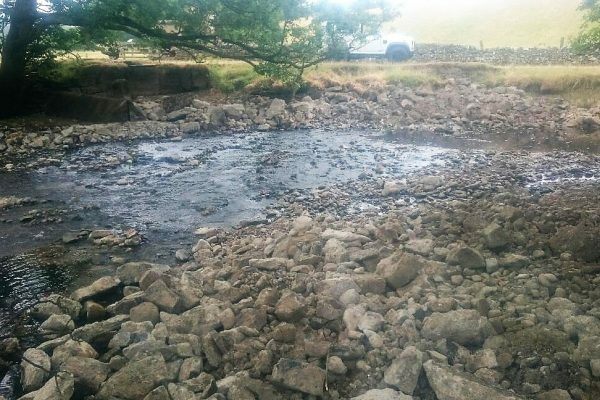 The conversations to remove the weir started around six years ago and the actual removal only took two days (time-lapse video below). And the project cost just under £8k! Fish surveys were taken by a group of Durham University staff affiliated with the Adaptive Management of Barriers in European Rivers (AMBER) project. 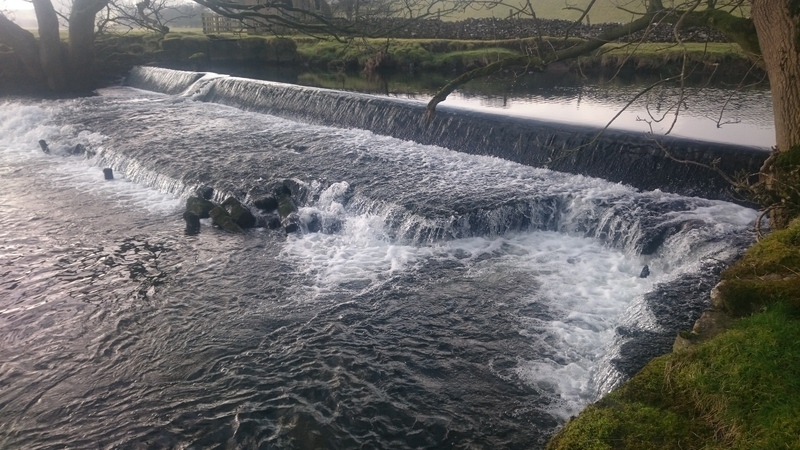 These surveys indicated that fish species were found both above and below the weir but their numbers and sizes varied greatly. Just four hours after the removal of the weir, there was a minnow migration! 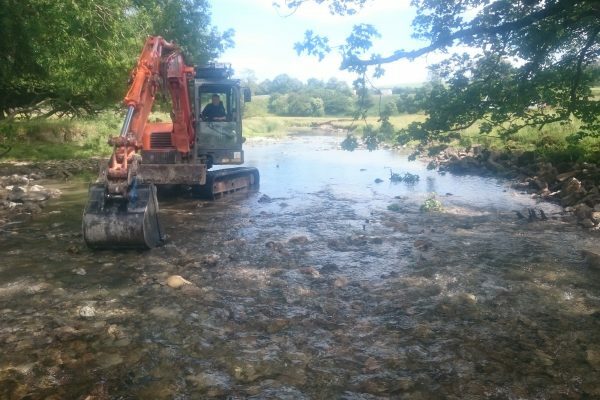 Elsewhere on tributaries of the R Aire, Jon has removed and notched several small weirs, and nearly two years later, the number of fishes have increased 5x the amount recorded pre-removal. And compared to the largest trout measured in 2015 (~320 mm), in 2018, many of the brown trout measured >400mm. It is hoped that the work at Coniston Cold will have similar benefits. Now there is 20.4 km of uninterrupted river for fish to swim freely through! 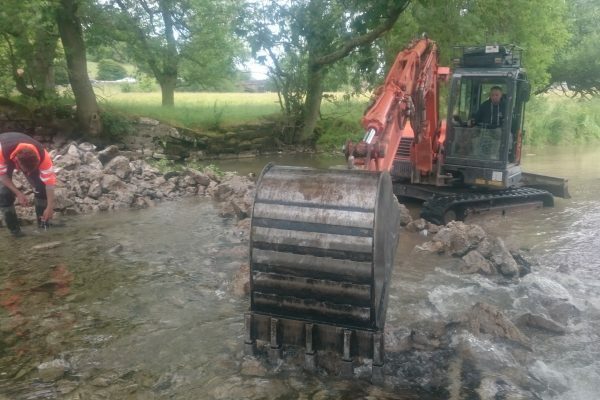 Thank you Professor Jon Grey for the information and pictures on this weir removal. More information can be found from the blogs of prof. Jon Grey on The Wild Trout Trust website.